With the latest version of VS2017 installed, you should have the dotnet core SDK version 1.0.3 installed. If not, you can download the SDK from here. That is weird. 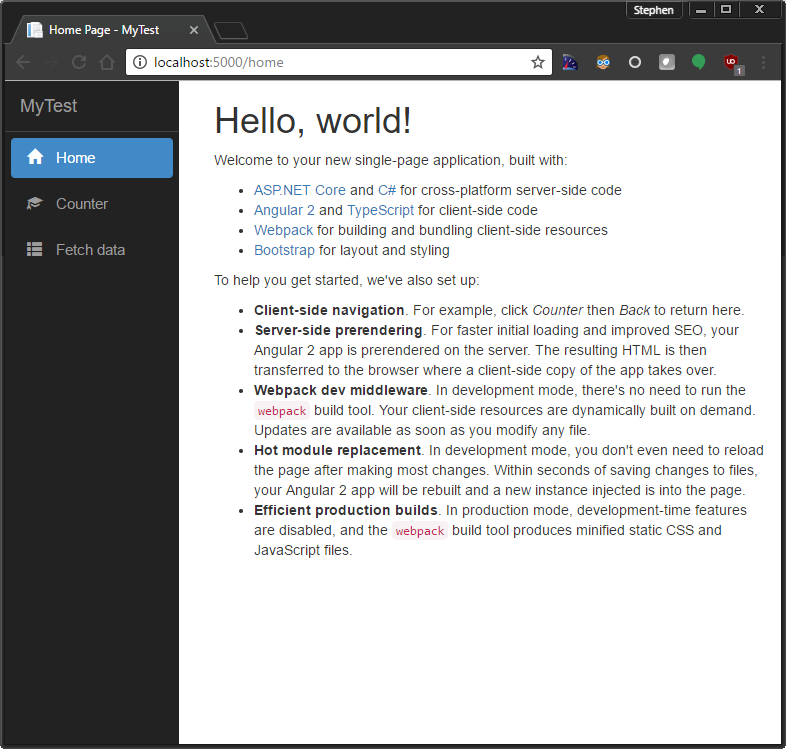 I just used “dotnet new angular” to create a new/clean project and the navigation appeared to be working OK. I had a quick evaluation of the SPA templates, shortly after VS2017 came out (I think I had to ‘nuget’ the templates separately) and the ‘burger’ button in the UI just didn’t work at all. After updating VS2017 to the latest version (including dotnetcore 2) I created a new project and the ‘burger’ button now partially works. Clicking on it causes the menu to appear, and clicking on an item navigates to the appropriate page – however, the menu doesn’t disappear, and the ‘burger’ has to be clicked again to dismiss the menu. This can’t be right, surely? Looks like I’ve got a lot of learning to do – the newer way of doing Angular apps is very compelling. I like that “burger” menu better too. I’ve implemented something very similar in my apps. I’ve been following the steps in sequence and everything seems to be working – all downloads starting the VS 2017. I can open the project and see all of the files. But, Start (F5) is grayed-out. What didn’t I do? That is very odd. One thing to try is ensuring the web site is set as the start-up project. If that doesn’t do anything, try removing the project from the solution, readding it, and then setting it as the start-up project. Tried another project and this time it worked. Don’t know what happened the first time. Have you used this template to build a solution that uses SQL Server via ASP.net – not using Entity Framework. All of the examples I’ve come across do not use SQLClient (ADO.net). Glad it worked the 2nd time! 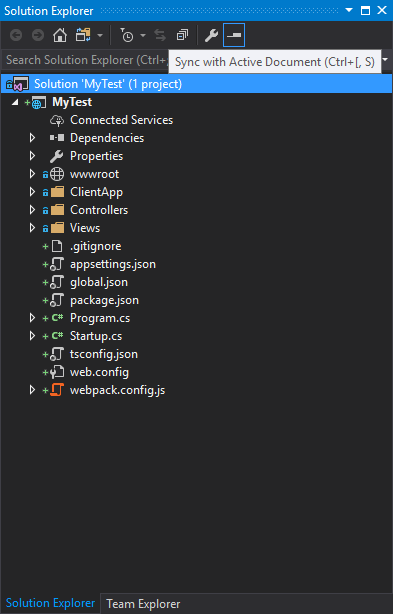 Most of my projects do use Entity Framework Core, but I do also use a few of the EF hooks to access the DB connection and utilize ADO.NET directly via SQL Client. Very nice article. If someone is looking for backend ASP.NET template. Here is a very nice web site for generating MVC templates online. This is a cool article. Thank you. But can someone please tell me, Why does no one seem to care that all the MVC & Angular 2/4 templates seem to render the HTML like a dogs breakfast? I just cant move passed that. Is SSR in this template done by universal which included in the project? SSR included by universal or some kind of other mechanism? See the FAQ link above. It details how SEO/SSR is achieved within the template.